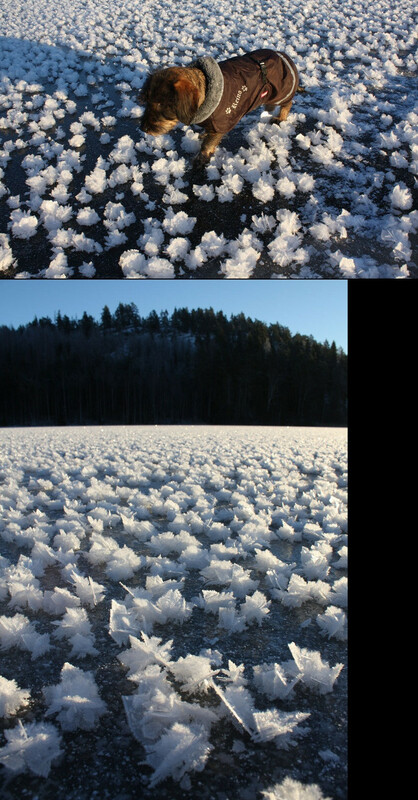 Photographer Jari Toivonen, who lives by the lake in a small Finnish village, says that he never seen such phenomenon before. Toivonen himself suspects that the rare occurrence arises from the fact that the ice is very flat: perfect for ice skating. 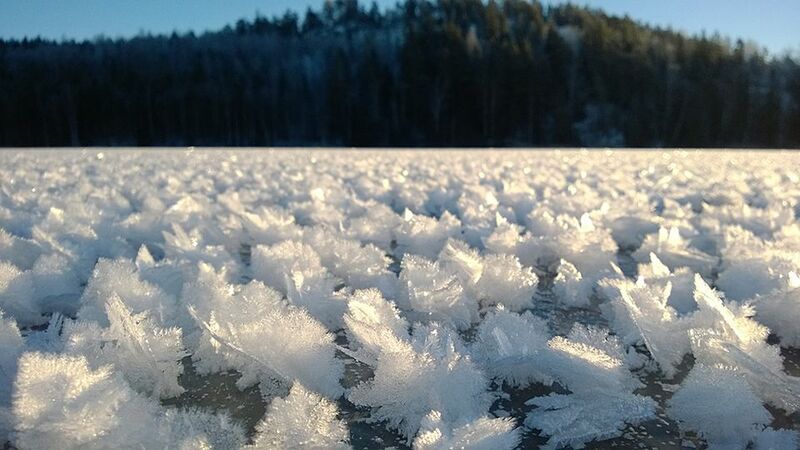 The ice begins to accumulate on the surface forming a meticulous flower patterns. 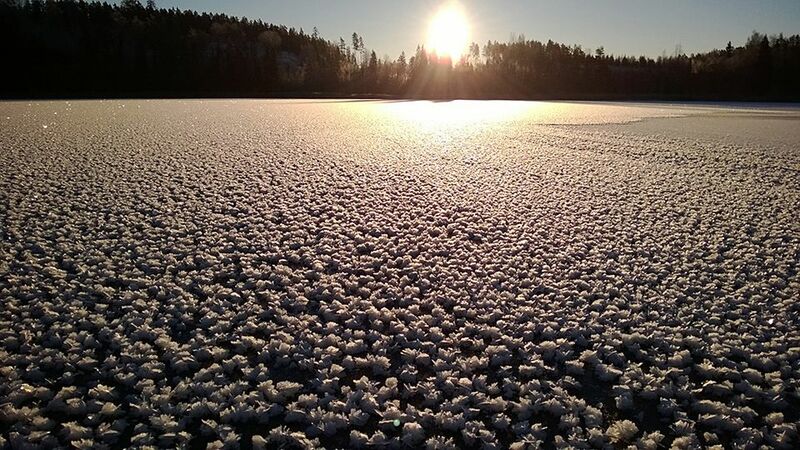 Known as an Arctic “sea meadows”, this phenomenon was first recorded in 2009 by a team of biologists, who encountered these little flowery things growing on the frozen sea, while sailing back from the North Pole. 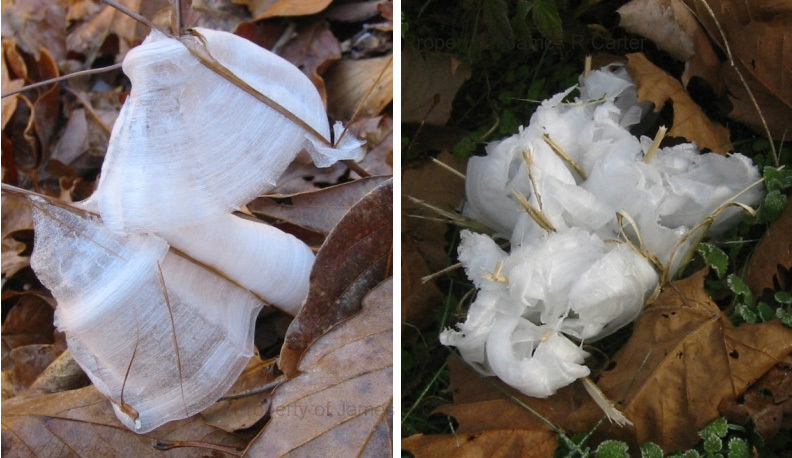 According to scientists, they were growing “like a meadow spreading off in all directions. Every available surface was covered with them. It was absolutely astonishing”.